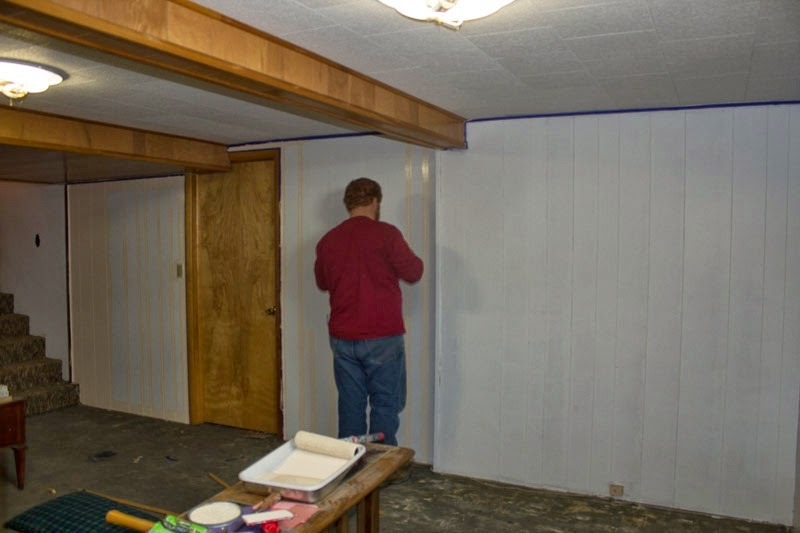 So far the wood paneling in the basement has been transformed into primed walls. Now we finally get to put color on the wall! We decided to use Sawyer Ace Hardware's new Valspar paint line. They are low odor and no VOCs. There are two choices, Optimus and Aspire. Optimus is more expensive due to a higher quality paint. (I believe it is more pigment molecules?) I figured Aspire would be good enough for our basement, so that is what we decided. 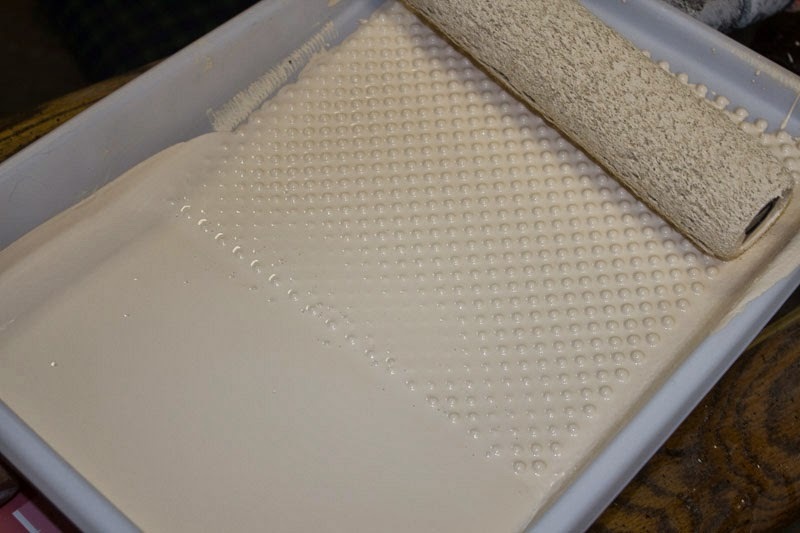 The color we chose was Almond Sugar for the walls. 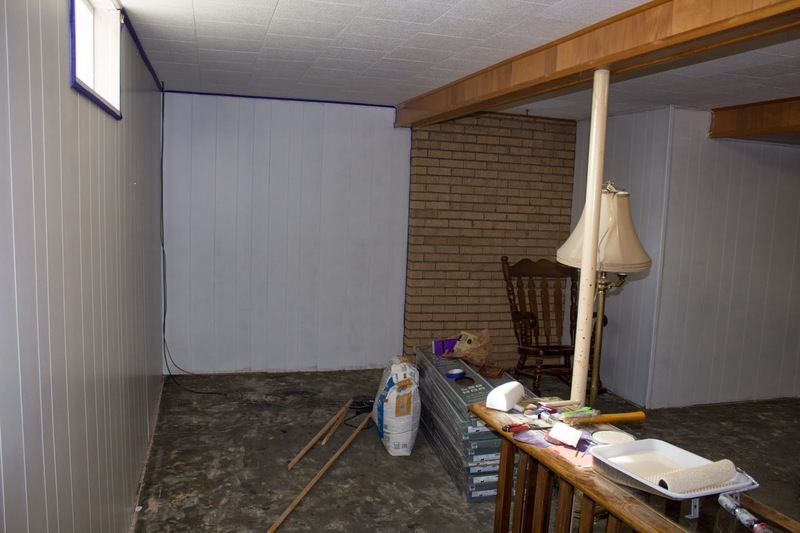 As I have said on my recent post, How to Renovate Your House Without Going Crazy (Housewives of Rural America), the first brush stroke is always a shock. Our first impression of our new wall color was peach...far from what we wanted. White walls ready to be painted! Excited! I love the wall color! Just have to wait a couple hours to add the next coat of paint! After this half of the room dries, I can work on the other side! There are so many things to think about when painting a room with existing furniture. What do you think so far? "Transformation Tuesday" - a nice tag line...!!! I liked it and the images OMG I loved to see and read content...!!! Great post! 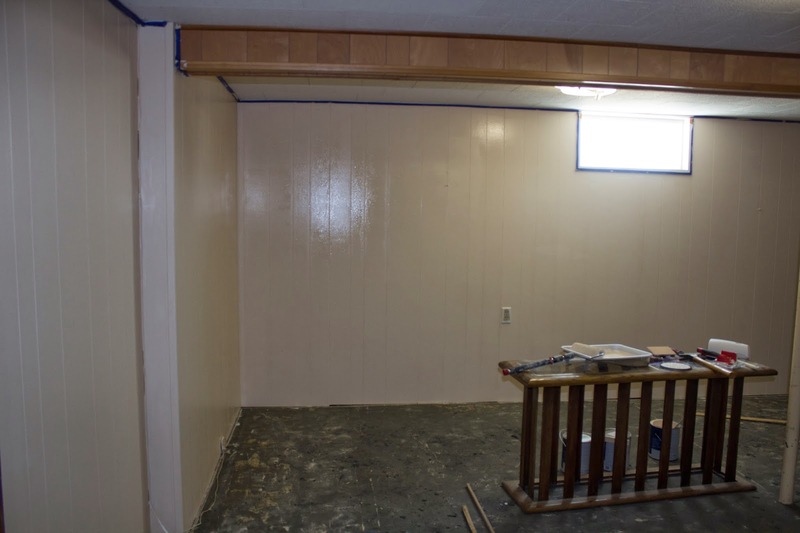 Been reading a lot about painting my basement. Thanks for the info here! 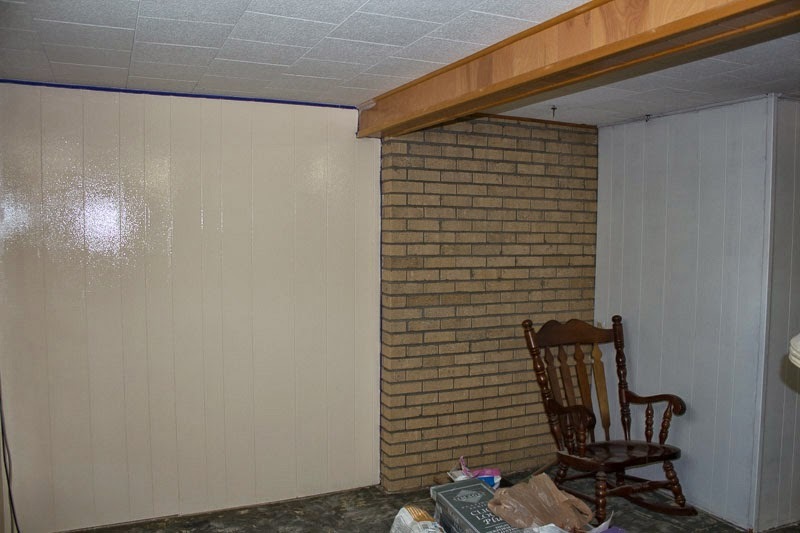 Indeed!having a right color to your basement will make it looks more interesting.